How they push our population to 750,000 is difficult even for me to confirm but if they want us to be more, fine. It just proves, again, that the "demographic threat" all use as a scare tactic doesn't exist. 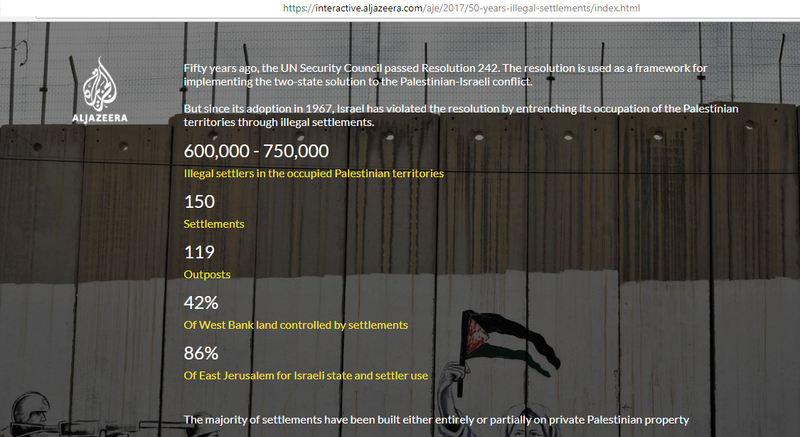 it does not mention a "Palestinian people"
it does not mention a "state of Palestine". Not all territories needed to be evacuated. The only related problem needing a solution is "the refugee" one. And there were Jewish refugees, too. It's approach that there is an "inadmissibility of the acquisition of territory by war" should have been applied to Jordan in 1949 (in addition to the many other cases and since it was/is not, it cannot be applied only to Israel). And let us not ignore that only Israeli armed forces need been withdrawn ("Withdrawal of Israeli armed forces"). 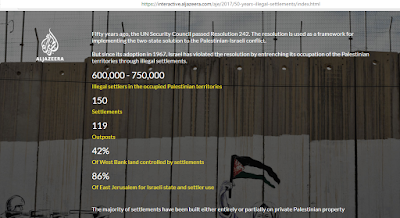 Civilians, especially Jews who have a right by virtue of the 1922 League of Nations decision to "close settlement on the land" surely need not remove themselves. Oh, and there is no "Palestinian-Israel Conflict" That's a perversion of what was the "Arab-Israel Conflict" which itself is a perversion. There is an "Arab Conflict with Israel and Zionism". Don't Forget: "Palestine Was for the Jews"
Amanapour: Netanyahu is Trump's "Director"
Did YACHAD Adopt the Term "Communities"?